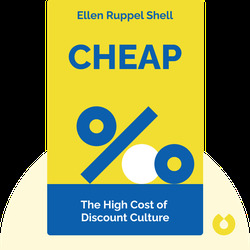 Cheap is an investigation of the prices we truly pay for low cost items. It outlines the history of America’s obsession with finding bargains and cheap goods. 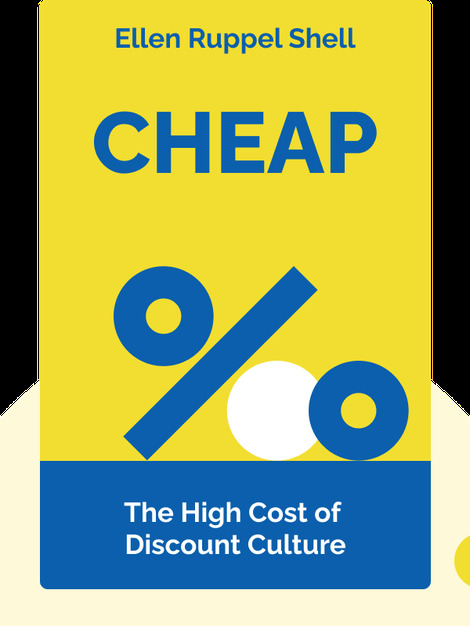 Cheap also explains how humans are irrational, and how companies manipulate us into buying things we don’t need or even want. Our thirst for cheap products is hurting the entire globe; we need to educate ourselves, stand up and do something about it. Ellen Ruppel Shell is a journalist and a professor of science journalism at Boston University. She’s a correspondent for the Atlantic Monthly, and has written two other successful books: The Hungry Gene: the Science of Fat and the Future of Thin and A Child’s Place: A Year in the Life of a Day Care Center.